Lasermo la located at Nubra valley. Nubra means Ldumra - the valley of flowers, situated 150 km North of Leh city and just south of Karakoram Range. 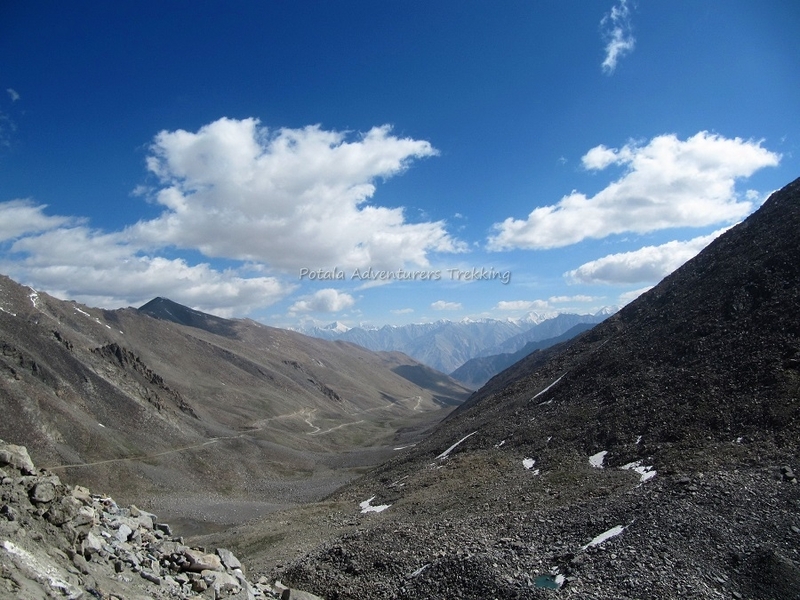 It is only accessible by Khardung la pass 18380 ft. world highest motor able pass. This pass is 50km north of Leh. Located at the edge of the Tibetan plateau and is culturally very similar to Tibet. Foreigners are required an innerline permit which is easily obtained at Leh the capital town of Ladakh district of J&K of India. 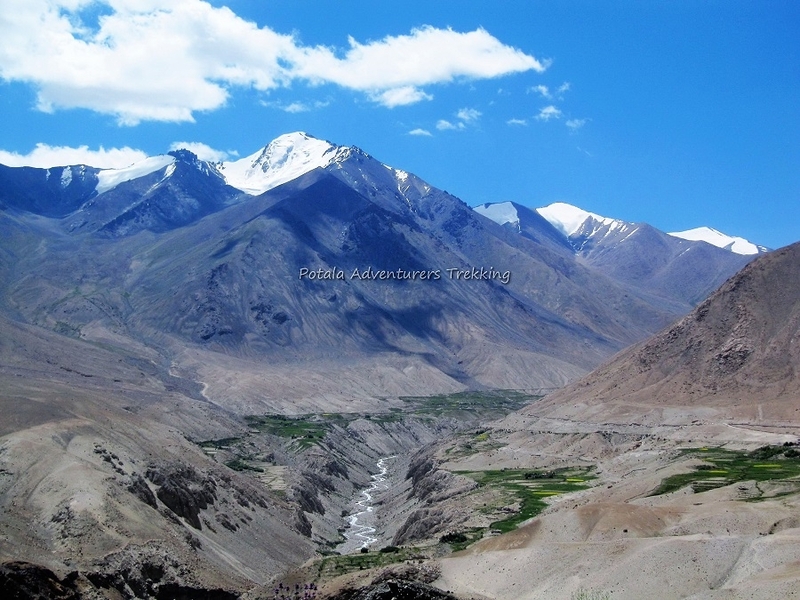 Panamik and Sumur are the small towns of Nubra valley. Panamik has a hot sulphur spring water while Sumur has Buddhist monastery known as Samstaling. 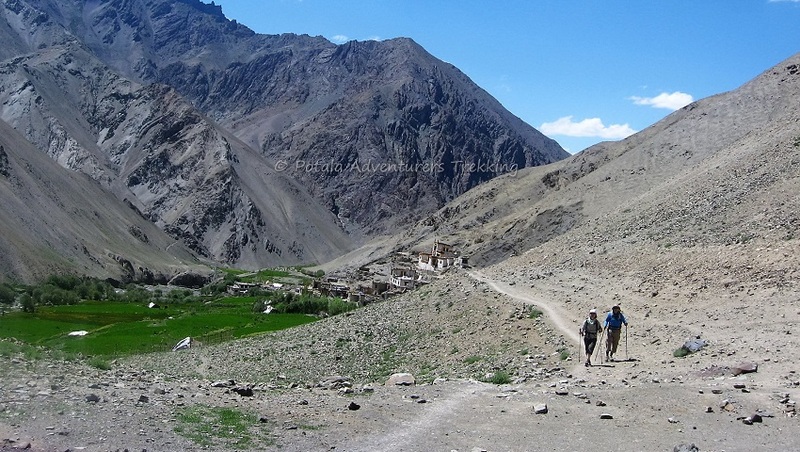 This area has only been open to trekkers for 15 years and there are few villages open for foreigners in Shyok valley which are Diskit and Hunder. Two humped Bactrian camel can be found in Hunder village which is connected to Ancient Silk route has a small monastery. Camel ride can be done from Diskit to Hunder for 2 hrs. 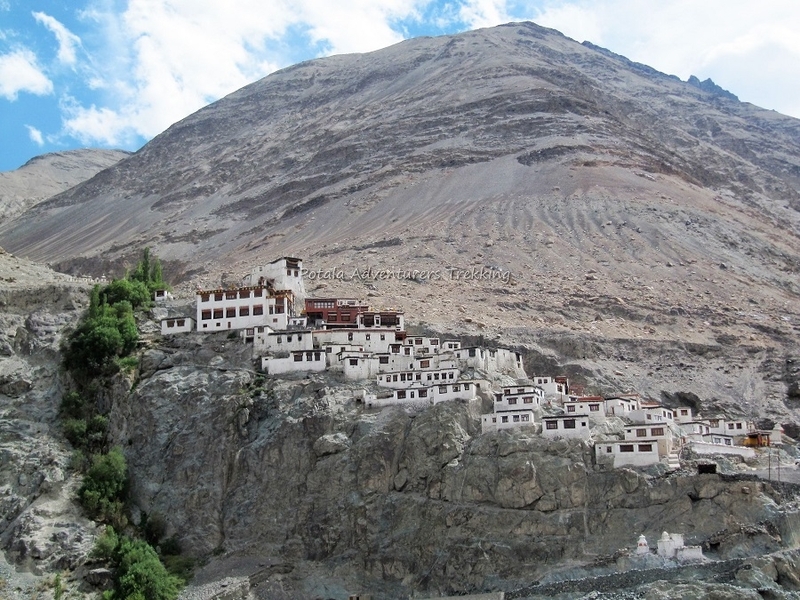 One of India's most breathtaking areas, Ladakh is home to towering mountains and deep valleys. The Shyok River cuts through Nubra Valley, which lies in the northernmost part of Ladakh. After few days of well acclimatizing in Leh and during these acclimatizing days, we visit numbers of interesting places in around Indus valley. 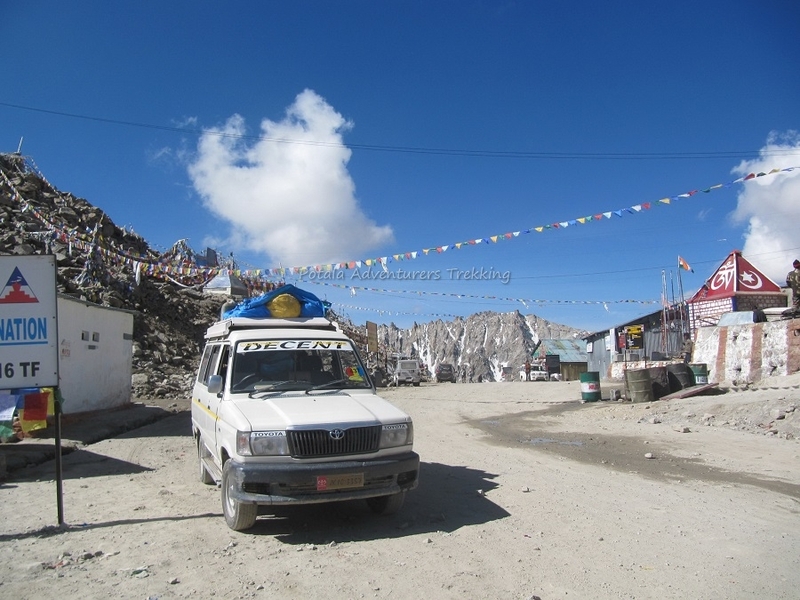 Finally drive over Khardung la pass to Hunder, from where our actual trek start. 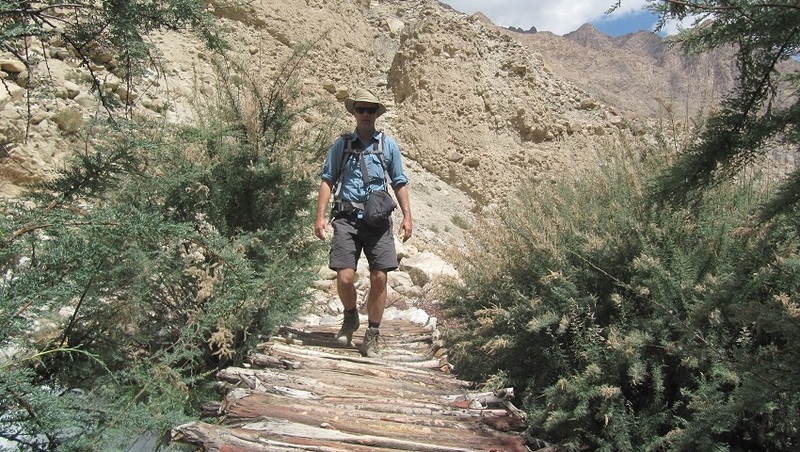 Trekking through some impressive gorge, barley fields, dry desert ridge and flowering meadows. 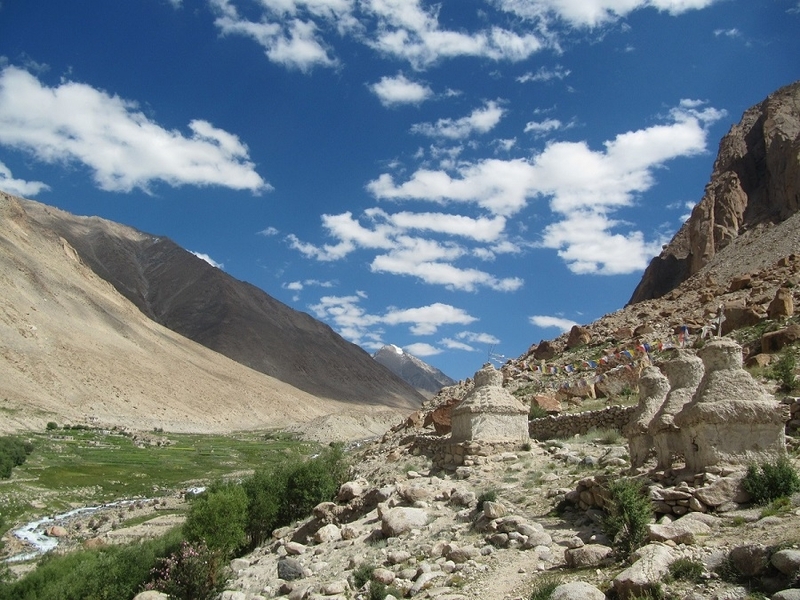 We will exit the Nubra valley trekking out from Lasermo La (5400m) and descend to Phyang where we end the trek. Our jeep will await us to drive to Leh. Possibilities to encounter with wild animals i.e. Marmots, Bharal and Himalayan Blue Sheep. Day 2 Trek to Skarchen (3800m), 4-5 hrs. Day 3 Trek to Hunder Dok (4010m), 4-5 hrs. 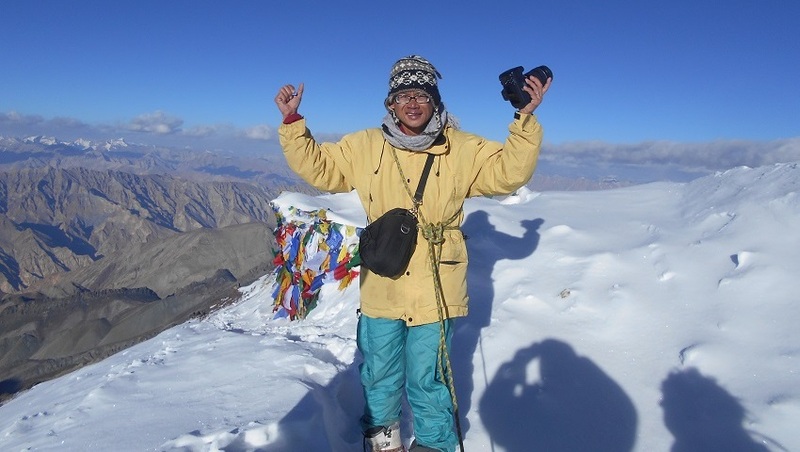 Day 4 Trek to Sniu Sumdo (4400m), 5-6 hrs. Camp. Day 5 Exploration Trek to Sniu Sumdo valley, 5-6 hrs. Camp. Day 6 Trek to Thanglesgo (4500m) or Jhingmoche (4510m), 5-6 hrs. Camp. 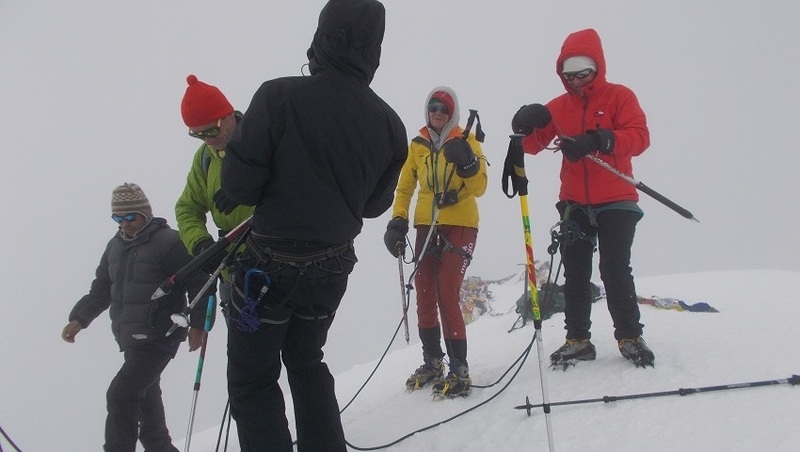 Day 7 Trek to north base Lasermo La (4800m) 5-6 hrs. Camp. 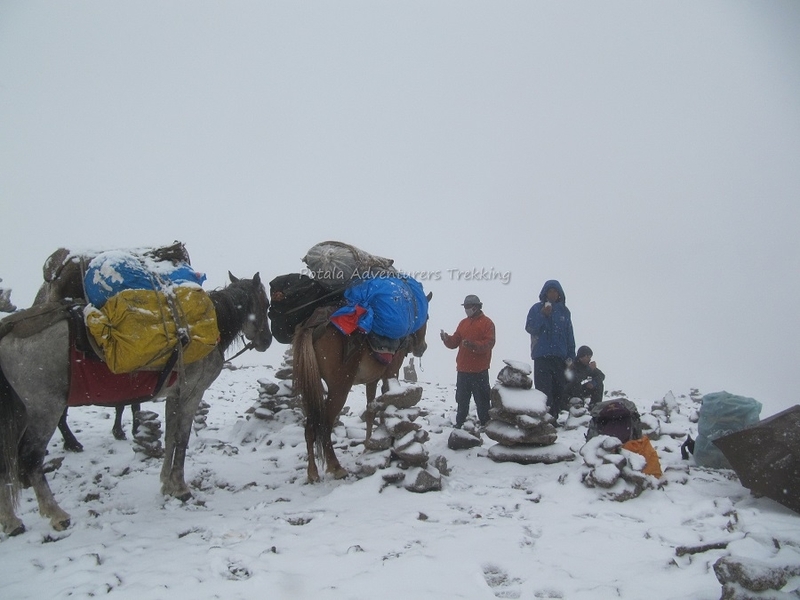 Day 8 Trek to Lasermo La (5400m) – Morubuk (4700m) – Phyang Sumdo (4510m), 6-7 hrs. Camp. 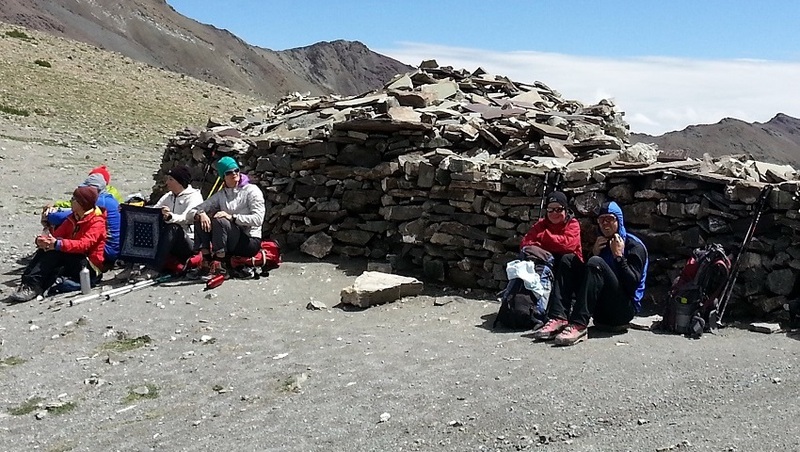 Day 9 Trek to Phyang (3900m), 3-4 hrs, drive to Leh. ü 1 nights of hotel accommodation at Hunder. Leaving Leh today our drive to Nubra valley across Khardung La pass 5596m, known to be the highest motor able pass in the world. Before heading off to Hunder, we drive to Sumur to visit Samstaling and go for a double humped Bactrian camel ride at Diskit to hunder, which takes 2 hrs. Arriving at Hunder where we camp. Overnight stay in camp. Today continue on trail along the river gorge for about 2 hrs, passing below Wacham village. The trail climbs steeply to Dok Yogma, a small village. We walk past their barley fields and follow a good path to the village of Hunder Dok (4010m). 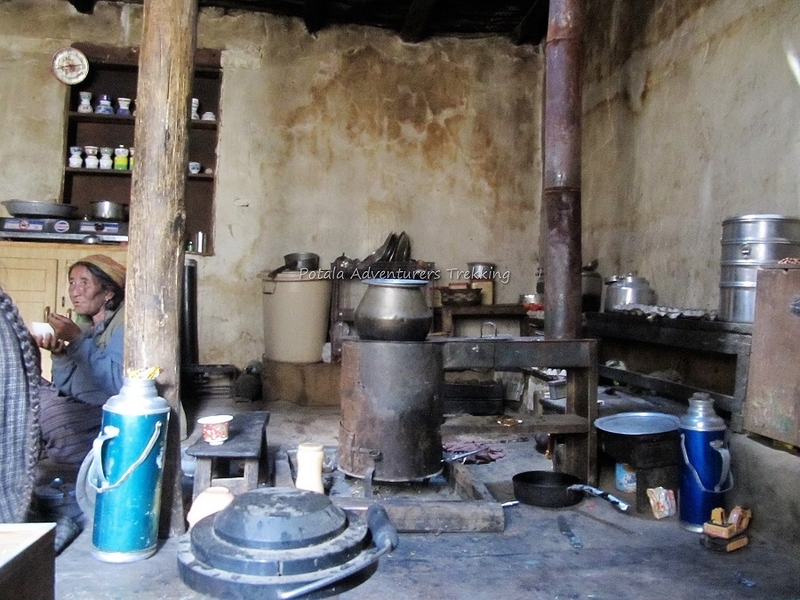 Our camp is in the village close to the river and we reach it by lunch. The afternoon can be spent visiting friendly village. Our trek schedule will lasts for 4-5 hrs. Overnight in camp. Today it’s a lovely walk through the Thanglesgo valley following a small stream and through pastures with view of 6000m peaks. We trek into Sniu Sumdo valley a little short of a glcial lake at Sniu Sumdo (4400m). There are numbers of grazing pastures so we will be meeting the local sheperds. Overnight in camp. 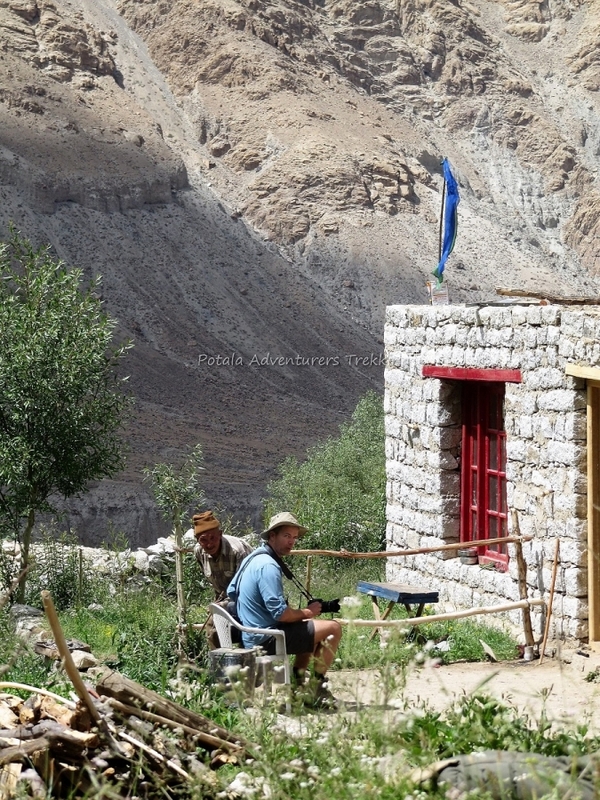 We spend another day at this camp to enjoy the surroundings and explore the upper and side valleys. Visit to the lake and back to camp. Leaving Sniu we descend to the junction of the Thanglasgo and Sniu Sumdo valley. We climb gradually across pasture following a stream for another 4.5 hours to camp at Thanglasgo or a little further to Jhingmoche (4510m). During the summer month shepherds brings their sheep, yak and Dzomos for grazing. These are temporary huts and just 2-3 families from the village of Hunder Do come here every summer. A pleasant walk again today. Today leaving camp we follow the river upstream on a well-defined path in this high and beautiful valley of meadows.Yaks and Dzomos can be seen grazing around these large meadows. Our highest camp on this trek and Lasermo La can be seen from Camp. Camp at the base of Lasermo La (4800m). 5-6 hrs. An early start today takes us beyond the pastures and the climb to Lasermola pass (5400m) takes approximately 2 - 3 hrs. to reach the top. 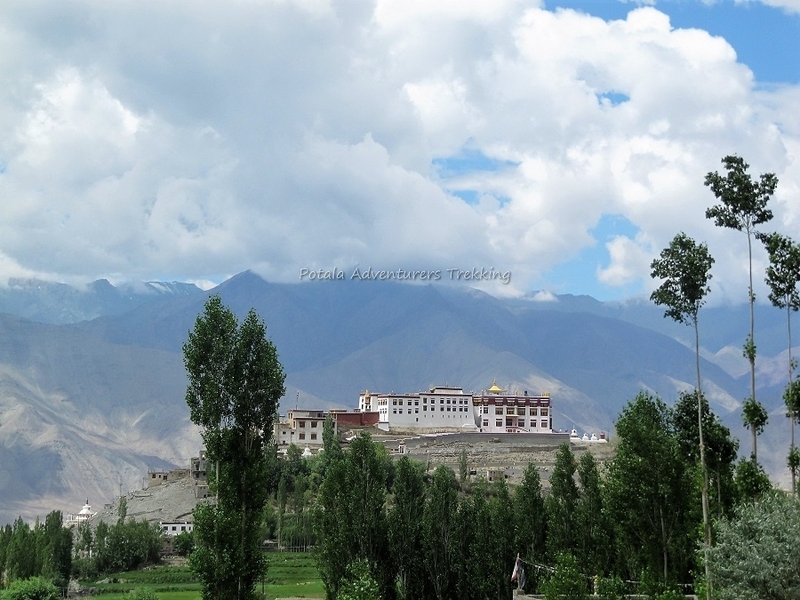 At pass we are rewarded with excellent view of Karakoram Mountains as well as Ladakh and Zanskar mountain ranges. Excellent views all round. From the pass we descend to Morubuk pasture 4700m and camp at Phyang Sumdo (4510m). 7 - 8 hrs. 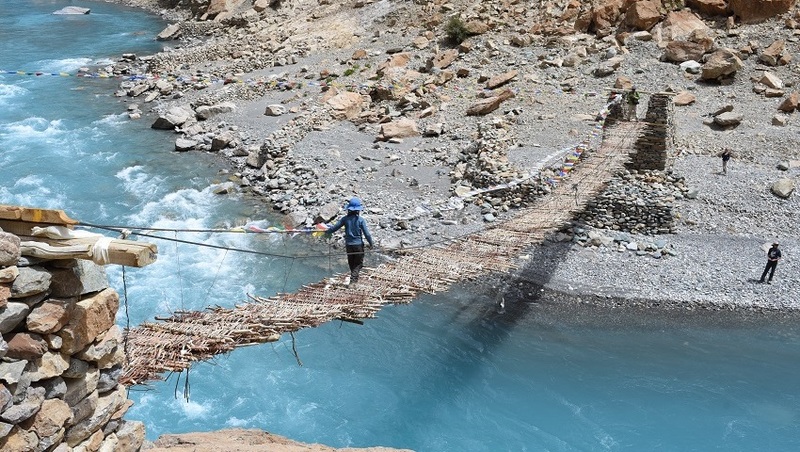 We descend to Phyang (3900m). We get wonderful views of the Stok range of mountains today. We meet with our vehicles at the road head, drive through the village of Phyang stopping to visit the monastery here before continuing to Leh (25 minutes). We are in Leh by early afternoon.